January 1st 2014, Happy New Year. Just caught up on the last 4 episodes of the traders podcast which I’ve missed over Christmas. Won’t be trading for a while as a lot of research and reading to do. Not trading, does not mean not progressing. 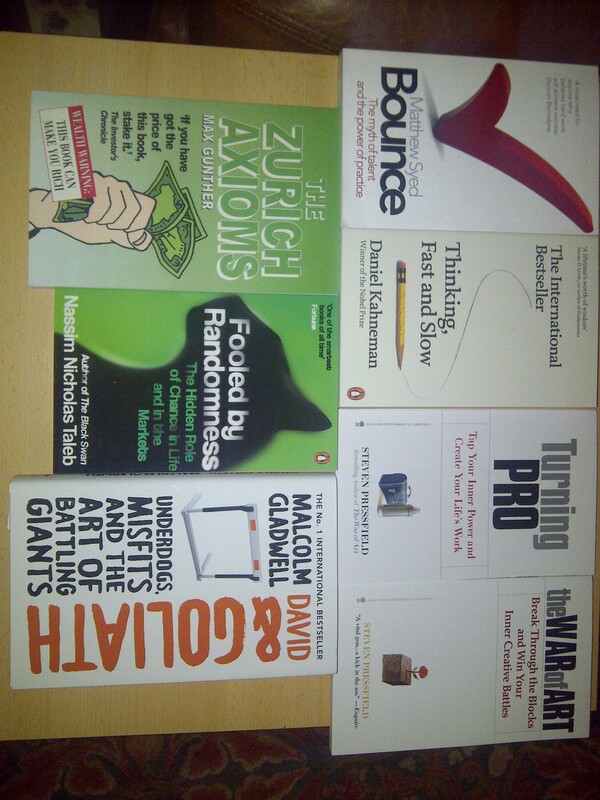 I received a few interesting books for Christmas and have photographed them below and although some are not about trading, does not mean they aren’t relevant. Listen to the traders podcast episode 213. Hope you have a Happy New year, Fxoutlier.